In the direction of Cotopaxi park and Rhuminaui mountain (5897m), the road gets very difficult, with rocks, under the rain and uphill. 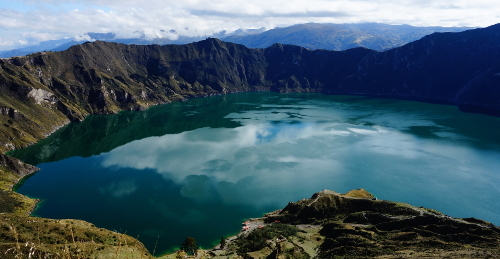 The day after, departure for the Quilotoa volcano with a descent in the crater and 3 days hiking. The landscape is breathtaking. The goal is to reach Huaraz (3000m), cycling for 3 weeks. It’s opposite the White Cordillera. Bertrand gets back into his routine of finding a place to stay at the end of each day. For Christmas, firemen offer to share their meal with him. 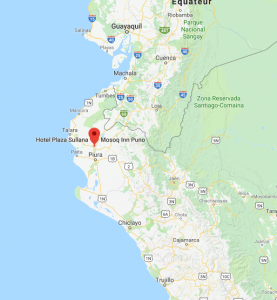 Finally comes the Peruvian border. He meets little vultures and lizards sunbathing along the road. For his first night in Peru, Bertrand finds shelter in a Jehovah community. He sleeps in a little cabin with his hammock. Alee is an expert in bike travelling and manages the website Cycling About. 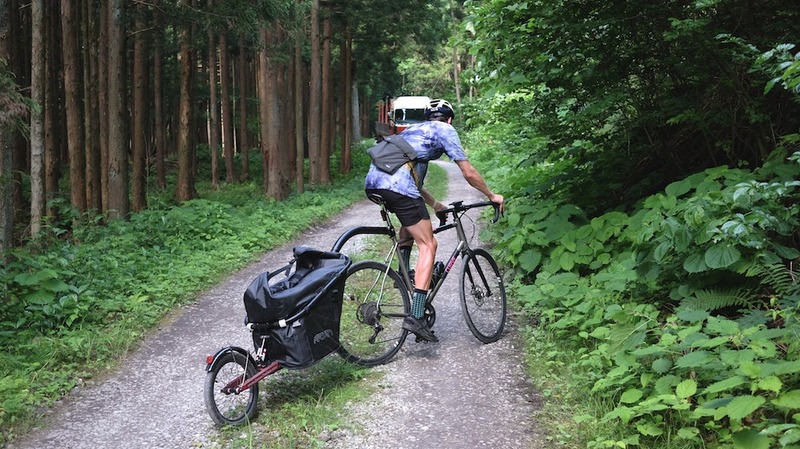 His trip in Japan enabled him to test the KIT L80 trailer and give us a feedback about his experience. Alee underlines the handling ability of the trailer compared to the use of bags. He also finds that you quickly forget you’re even towing a trailer. Of course, you need to adapt your driving when you’re cycling in narrow spaces, in town for example, by taking larger anglers. 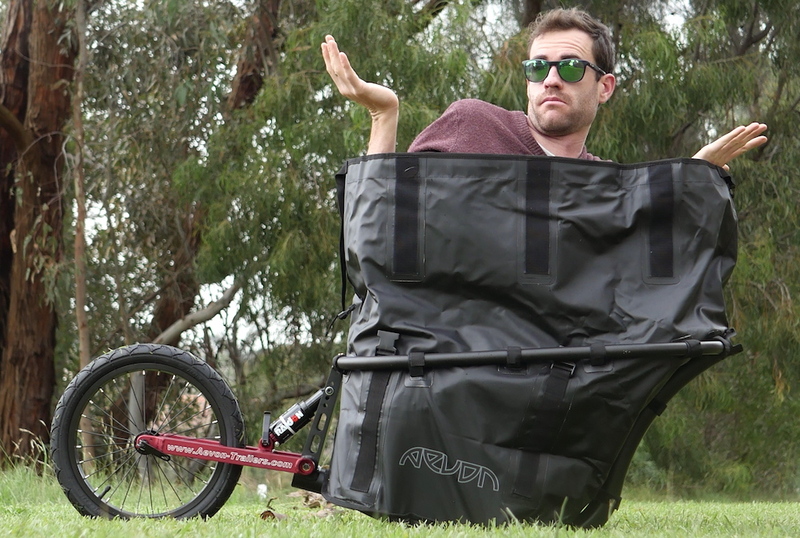 But the trailer is narrower than a bike saddled with bags on all sides. That’s where Alee found the trailer the most useful. As weight is entirely at the back, the bike seems light and can change direction quickly. It’s perfect when you’re riding on single tracks. 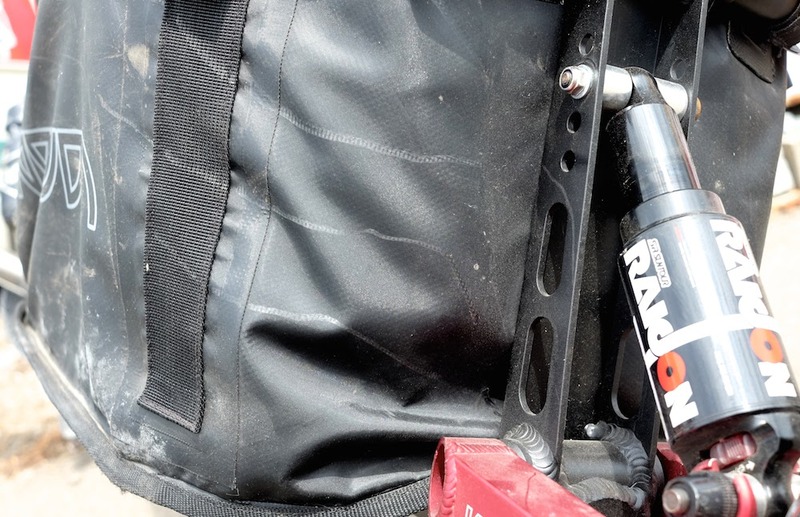 The KIT L80 is equipped with a shock absorber on the rear, a real asset when you’re riding on difficult tracks. It’s possible to adjust the pressure to adapt to the weight you’re carrying. 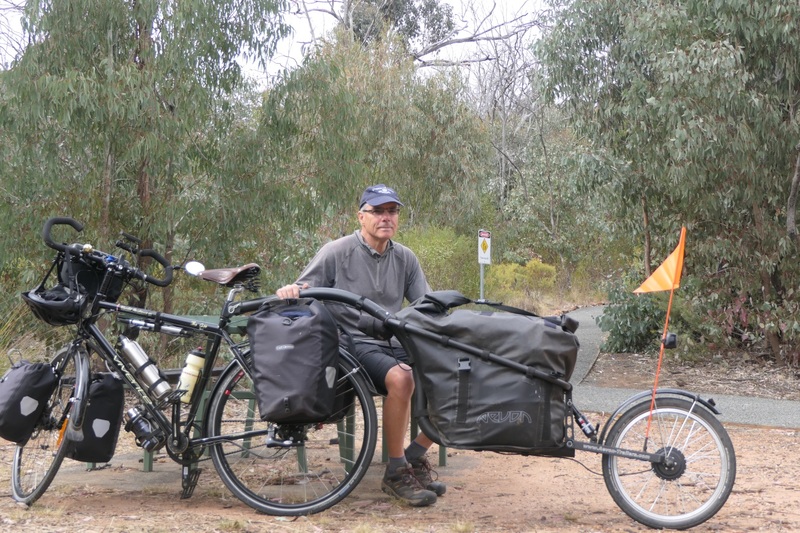 For long distances on tracks, Alee would definitely choose the trailer over side bags. Alee added some smaller bags inside the waterproof bag of the trailer. 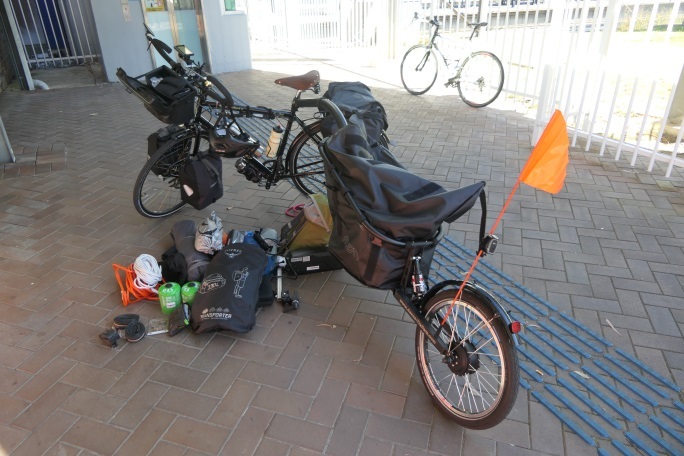 When he parked, he took out what he needed and left the waterproof bag inside the trailer. He confirms that the bag is perfectly waterproof. If the bag is full, it may be necessary to use an extra waterproof protection on the top, to prevent the rain that fell on the bag from getting inside when you open it. It wasn’t really part of the plan but Alee had the ‘chance’ to test the strength of the KIT L80 when a 500kg bear decided to jump on it, leaving the trace of his claws along the bag. We meet up again with Bertrand at Medellin in Colombia, famous for being the most dangerous city in the world. From the 80s to 2000, the city was affected by violence and acts of revenge. Today the city is much more peaceful and young people use street art and hip hop to give energy and happiness to the Comuna 13 area, particularly affected by these difficult times. After one month in Colombia, it’s time to get back on the road with bike and STD 100 trailer in the direction of Quito in Ecuador. On the road, Bertrand meets lots of trucks towing at least 4 trailers each. They are filled with sugar cane to be transformed into organic fuel. Teams spend their day on the side of the road waiting for these trucks so they can close the road to other users and let the pass through. On the famous Panamérica, Bertrand also comes accross roadblocks organised by the indigenous people of the South of Colombia (Naza people). Treaties were signed between these people and the state and were not always respected. This kind of event happens from time to time at special dates. 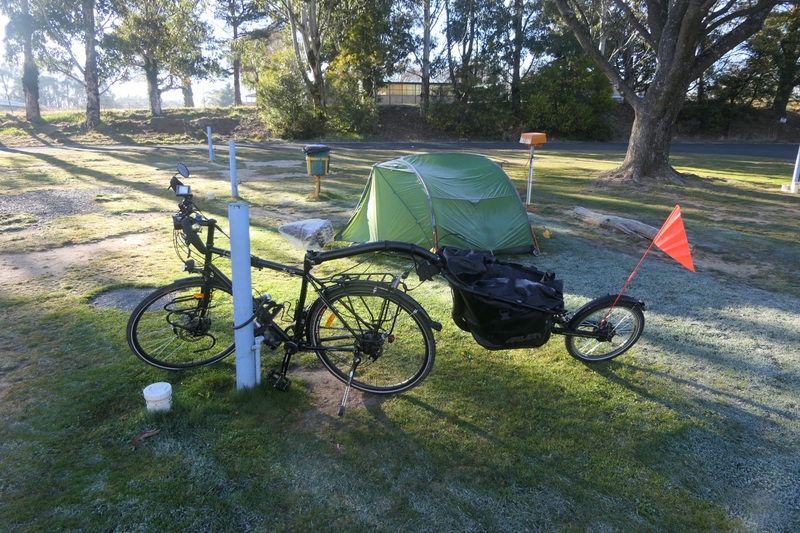 Luckily, the bike and the trailer help to communicate with these people. I reached the speed of 75km/h, with a total weight of 140kg (bike + trailer + load + me) !!! 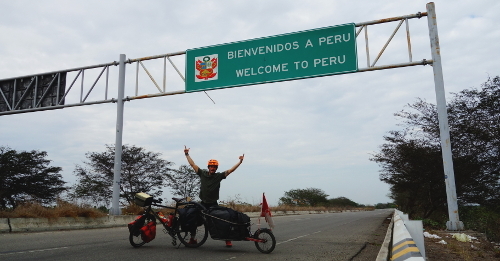 Bertrand has been travelling in South America for 1 year by bike and STD 100 trailer. We have asked him some questions about his experience. What is your everyday budget for such a trip ? “I don’t really have a daily spending limit. I left with a certain amount and it should last for about 3 years. It is quite difficult to imagine how much you will spend as each country has a different cost of living. After 1 year, I have spent about 500€ a month, knowing that I spent 90 days on the bike and the rest was surfing and climbing mountains. This implies that for 8 to 9 months, my living cost was much higher as I had to pay for lodgings. On the bike I sleep outside or at the firemen, churches, etc… I only have to spend money on food. When is the end of the trip planned ? 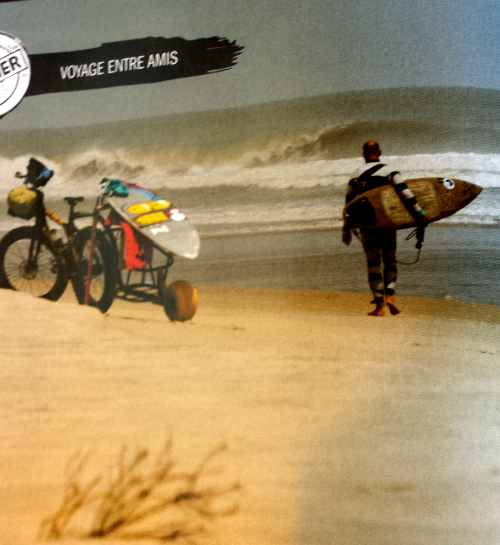 Do you think you’ll go back to la Rochelle when your trip is over ? “I think the end of the trip should be in Autumn 2019. And I don’t think I’ll go back to my place. When you leave like that, you make new experiences and meet new people everyday. You evolve and grow up all the time. In what I call “the life before”, these experiences were rare, you don’t evolve so fast. Coming back is always a shock, as you feel like nothing has changed around you, whereas you are totally different. 3 months in Peru enjoying the mountains with 2 big breaks at Huaraz and Cusco for hiking and climbing. Then Bolivia for 2 months where I’ll climb Huayna Potosi and Illimnai (2 peaks at 6000m). What was your job before you left ? Have you already thought about your next project ? 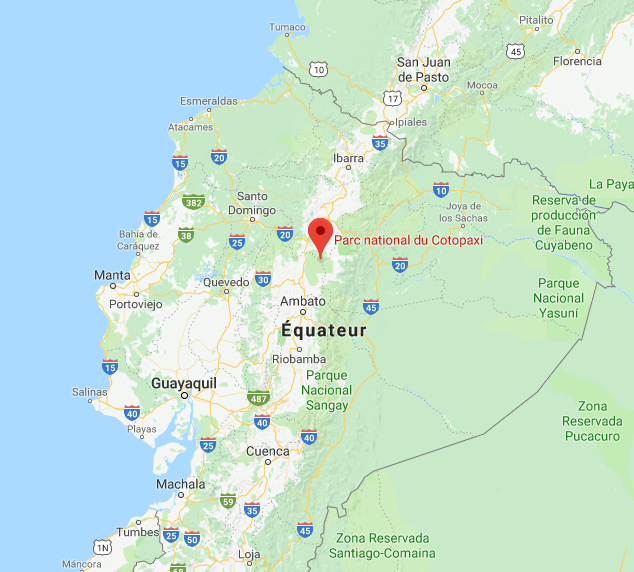 “During this trip I had the chance to travel by boat from Panama to Colombia and I must admit that a boat trip will be one of the projects in my life but I need some money for that. What does travelling mean to you ? “I’m living a life I chose, I enjoy new experiences every day, I see things in a more positive way, even in situations that might seem tricky, I meet beautiful people, I learn all the time, learn to communicate. I discover myself and my hidden skills. Which country did you enjoy the most so far ? “It’s not really the country, it’s the experiences you lived there and the people you met. I’m a big fan of Mexico. People are super cool and the country is rich with history, culture, landscapes, colours. Guatemala is also rich with history and culture. My experience with the people there was different, I didn’t feel such energy when I crossed it. Nicaragua is full of history, varied landscapes. 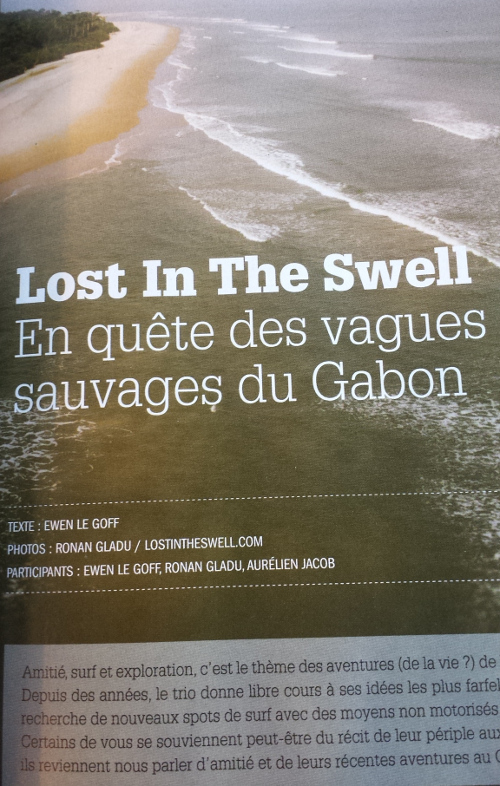 I surfed a lot there. Costa Rica is a holiday destination, life is more expensive there. But this country gathers 3 to 5% of the world bio-diversity, so it’s beautiful to see. Colombia is very pleasant. I had the nicest bike experience there. Do you think the same trip could be made by a girl alone ? 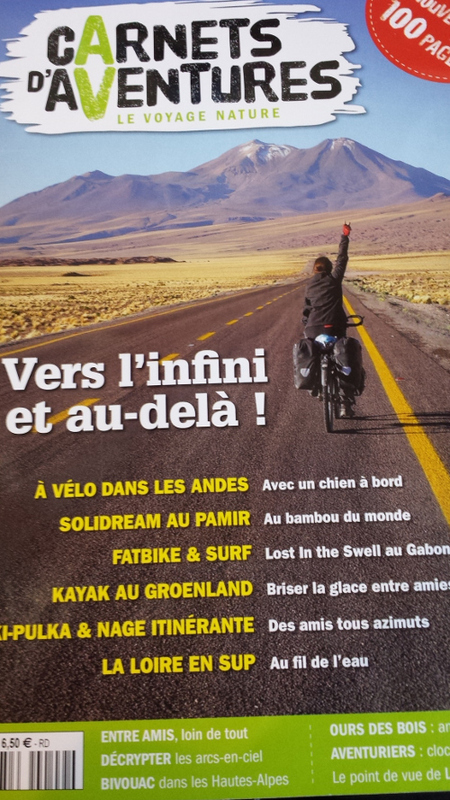 Yes, I think a bike trip can be made by most of us. The bike is a means of transport but also helps to communicate. People on the road are curious and very positive. This helps to generate a situation of trust. And we’re far from what is being told about these countries. As a man, I certainly meet less situations where I should be careful but girls have an easier contact with the local people. You should always keep your eyes and ears open and communicate. Learning the language is one of the keys for a good trip. 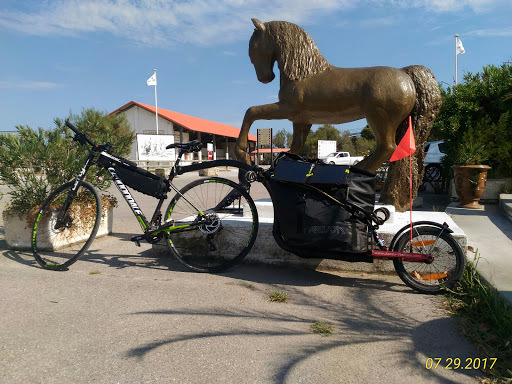 After New-Zealand and Australia, our adventurers : Cyril & Elodie are getting ready for their trip by bike and Aevon trailer in South America. Before their departure, they are back in their families in Belgium to rest for a while and enjoy some time home. This pause is also the moment to check the material, repair some of it and replace others. Going on a new continent also means a change in the weather conditions. The weather will certainly be a little different from Australia and they need to get ready for winter temperatures. So they change their tent for a stronger one. Cyril also replaces his sleeping bag for a model adapted to temperatures below 9°C. They also add some clothes : winter jackets with goose feathers and technical underwear so they can wear several layers. Their bikes need some replacement parts such as the cassettes and the braking systems, which is easily understandable after thousands of kilometers on all types of roads. John recently toured for 40 days through Australia. 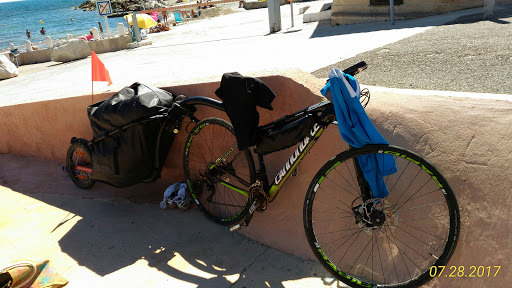 “I purchased the Aevon KIT L80 (sans wheel) from Cycloboost in France and I fitted a 20” wheel with a 250W hub motor. 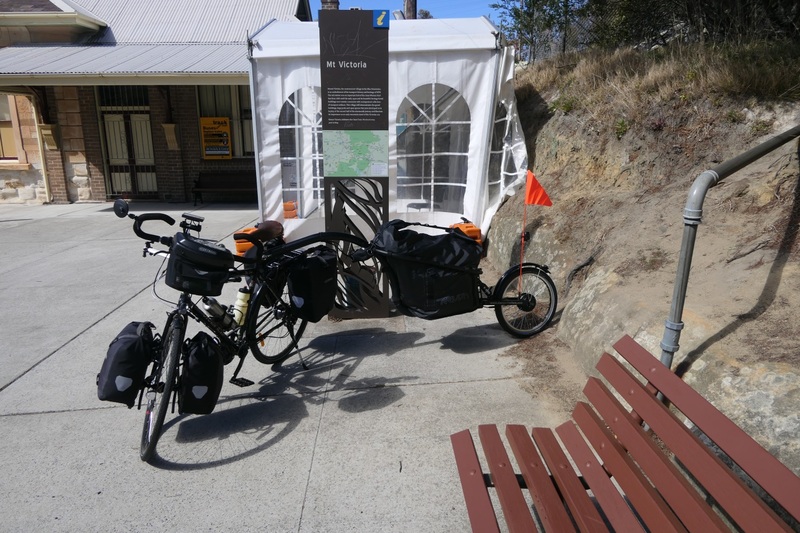 I caught the train from home to Mount Victoria, assembled the trailer then headed for Lithgow. 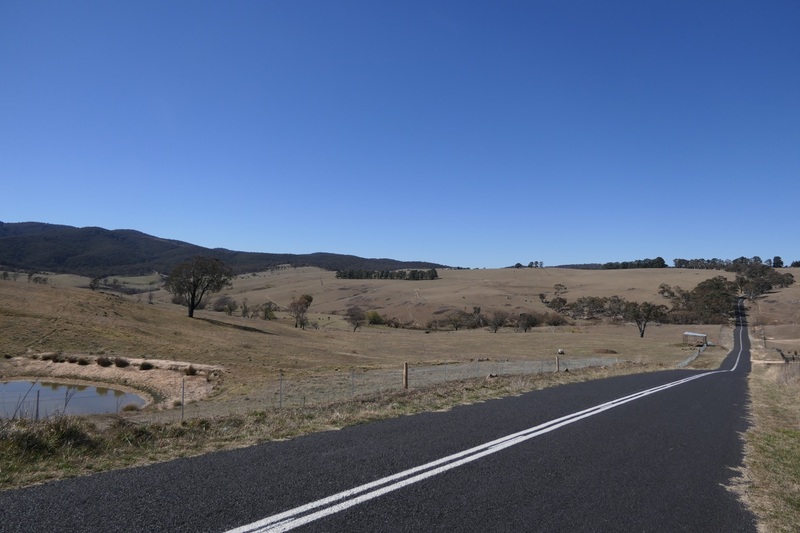 From Lithgow I rode to Oberon then Bathurst, Blayney, Orange, Molong, Wellington, Dubbo, Gilgandra, Tooraweenah, Warrumbungle National Park, Coonabarabran, Binnaway, Black Stump, Coolah, Cassilis, Merriwa, Sandy Hollow, Denman, Bulga, Wollombi, Wisemans Ferry then home. 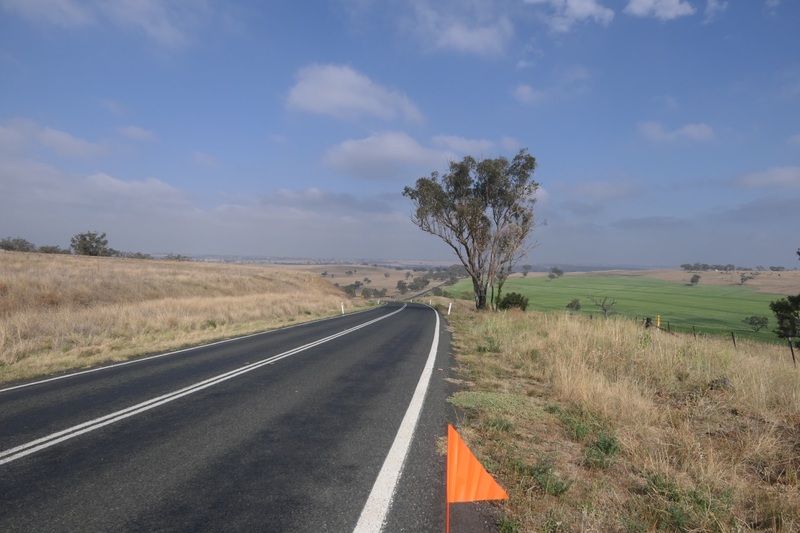 I travelled over 1400km mostly on paved roads, but around 200km on corrugated gravel and sandy roads. It snowed and sleeted in Orange on my first rest day. It rained 3 times in the month I was on the road, twice at night and on my last day whilst riding home, for about half an hour. I experienced temperatures from -3°C to 36°C. I saw an echidna, wombat, kangaroos (they nearly ran me over), emus, wild goats, rabbits and fox. Amédée prepared his trip around the world by cycling around Portugal this summer, with 3000km, 90km a day depending on the weather. How did you choose the countries you’re going to visit ? I chose them depending on the weather. Cold countries are not for me. I will begin with South America and Central America. Then I’d like to visit New-Zealand and meet some friends in Australia. Finally I dream of seeing Auroville in India, it’s a spiritual community that has been created about 50 years ago. What is your everyday budget ? About 30€ per day. In France that would be difficult but abroad I will be quite confortable. Usually, I like to have a good meal at noon and at night I just nibble on something before fixing my tent between the trees. For this trip, I sold my house, so I should be able to travel for a year and a half, maybe more. Why the tent in the trees ? When you go wild camping, you usually don’t find a nice flat spot. 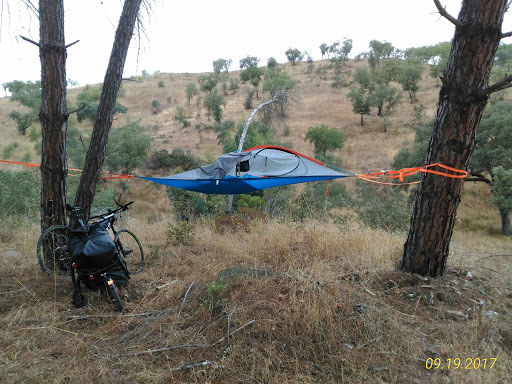 By fixing my tent between 2 trees, I’m sure I will have a good night’s sleep. And I tie my bike underneath. How did you decide to go on a bike trip ? Very sporty, I used to run. After an injury, I had to find another activity and began to cycle, especially with my MTB. I thought it might be a nice way to travel. Travelling alone will enable me to meet more people and be totally free with my schedule. And you have chosen to travel with an Aevon trailer ? After my trip to Portugal, I even changed my mind and chose the electric trailer ! So I left my KIT L80 to go with the STD 100 équiped with a 1000w motor. For me 90km a day is not enough. I’d like to make 150km a day.